26th July ’13 – Hired by Mr & Mrs Watson to provide my wedding disco services for their big day at popular Preston wedding venue Bartle Hall. They were celebrating in the Balmoral suite & had also hired 2 of our fun casino tables as some peripheral entertainment through the early part of the evening (6.30pm till 8.30pm). Our casino tables are really popular for wedding parties. We’ve found the best time for them is from the end of the wedding breakfast through to an hour into the evening. Although, timings are up to yourself, playing through the evening also works well. It’s just that this way, you fill the gap of the turn around period & also serve as an early evening ice breaker. 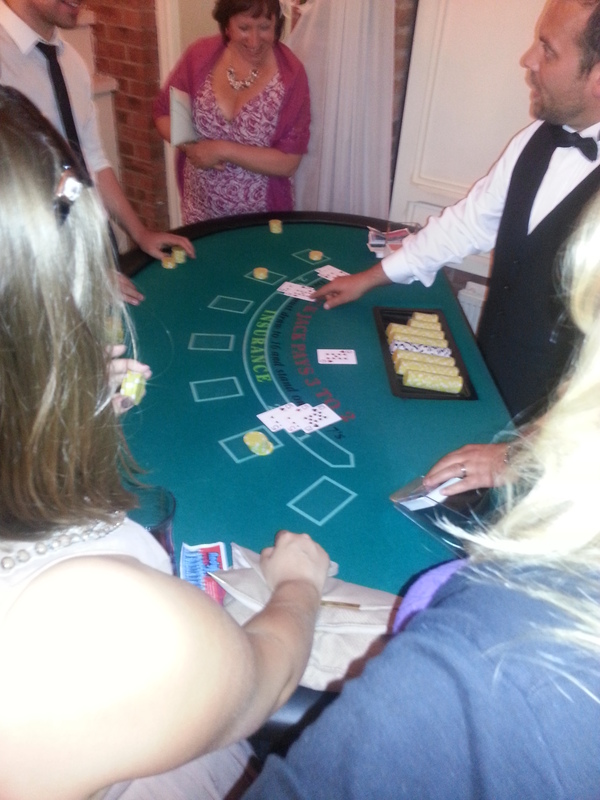 Our minimum hire is a 2 table combination which is blackjack & roulette for 2 hours playing time. 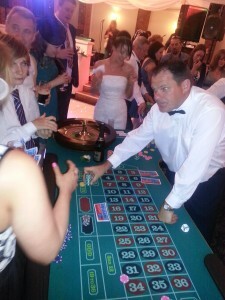 To hire our fun casino tables at Bartle Hall (& throughout Lancashire) costs £350 complete with croupiers, funny money/gaming chips & a bottle of bubbly for the winner. 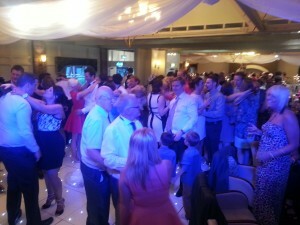 After the buffet & band’s 2nd set, it was time for the main disco, great fun night! 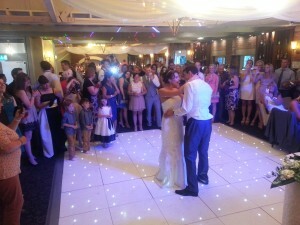 All the best to Mr & Mrs Watson! On the same night, we also supplied DJ Stu for the wedding party of Mr & Mrs Smith in the Windsor Suite at Bartle Hall. 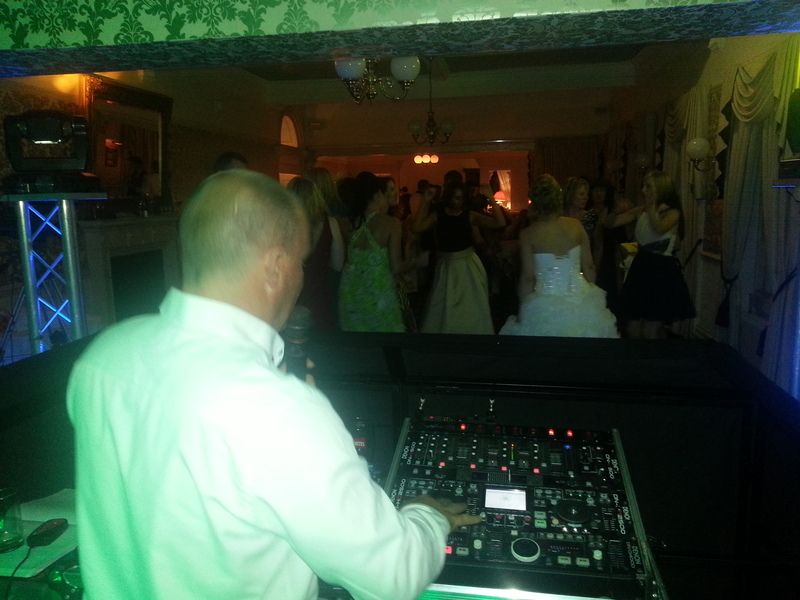 So, if you’re looking for an experienced wedding DJ for your big day at Bartle Hall (or throughout Preston), email your enquiry to andy@andybevents.co.uk As a guide, expect to pay £250 to cover playing times of 7.30pm till midnight.